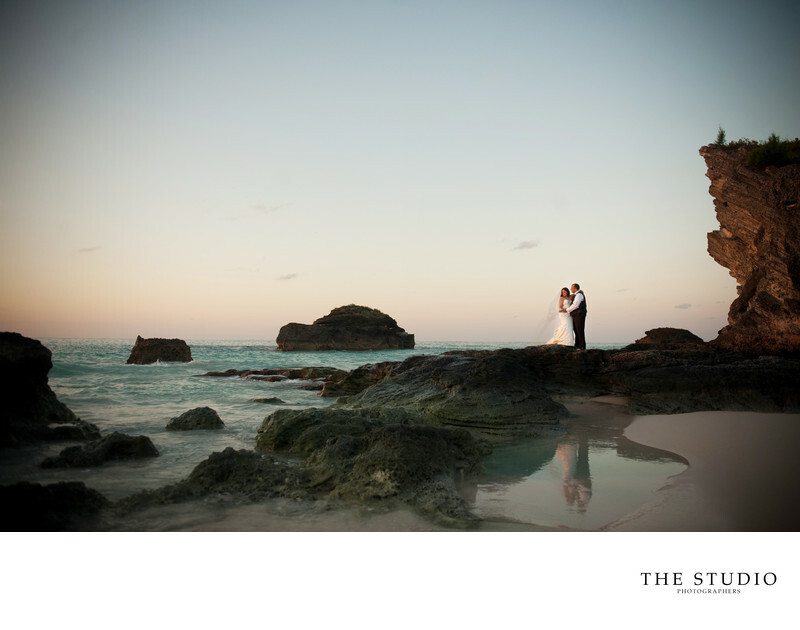 What an amazing sunrise wedding portrait session in Bermuda at Horseshoe Bay. Destination weddings are an amazing experience, but when you have an adventurous bride and groom willing to take a hike at sunrise in full wedding attire--that's when the real magic happens. Jonathan and Elana will forever remember the stellar bride and groom portraits we took for them at this unique location, but they will also have the hilarious memories of our trek in the dark to this key location in Bermuda, as well as the truly everlasting memories of their love and laughter as they ran through the water hand in hand.